Q. WHY ARE WE SELLING MULCH?!?! Every year the band boosters set up their budget with fundraising goals in mind. Fundraising keeps our fair share lower than many surrounding school districts. 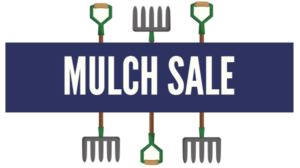 ABBA’s 3 fundraisers are: flamingo-ing (summer), ACL (April 23) and Spring Mulch (April 6). Q. HOW DOES MY PURCHASE HELP THE ANDERSON BAND? A FEW EXAMPLES – The expenses of the big blue band trailer like license and registration, maintenance and repair, and licensing of new parent drivers (approximately $8,000 to $10,000), savings for a new band trailer of large repairs needed down the line such as tires, the marching band drill (approximately $10,000), part of the music arrangement of the marching band music (about $4,000) and the field staff, clinicians, masterclass teachers and instructors we bring in throughout the year to work with the band (roughly $20,000), half of the band banquet expenses, this year ABBA bought a new ice machine for the band. Again, fundraising helps us provide those necessary items to improve the band experience for our kids. Q. WHAT ARE THE TWO TYPES OF MULCH? Texas Native Hardwood Mulch: An all-natural, double ground hardwood mulch that has been aged 9-15 months to create a long-lasting and vibrantly dark color that stays consistent year in and year out. Our hardwood mulch doesn’t wash away and it aids and improves soil conditions by adding natural hummus and nutrients to soil as it decomposes. Texas Native Black Label Mulch: An all-natural blend of double ground hardwood mulches that have been COLORED to create a deep, rich, dark- black mulch. It is safe to use around pets and children because we only use non-toxic, biodegradable dyes that have been approved by the Environmental Protection Agency. Q. WHEN WILL THE MULCH BE DELIVERED? By the Bag purchases will be delivered on APRIL 6th. By the yard purchases can be customized with the delivery company — the delivery company will contact you after your purchase. Q. WHAT IS OUR FUNDRAISING GOAL? $20,000 in SALES (that’s $10,000 Profit for the band!) We can reach this if every member sells 25 bags of mulch…. Q. ARE THERE ANY STUDENT INCENTIVES? Why yes!! We wanted to make this fun…..so there are a few student incentives…. IF WE SELL 25,000 in total sales ABBA will provide a candy buffet, photo booth AND DJ for the band banquet as well as reward the winning section with a hummer limo ride to the banquet.